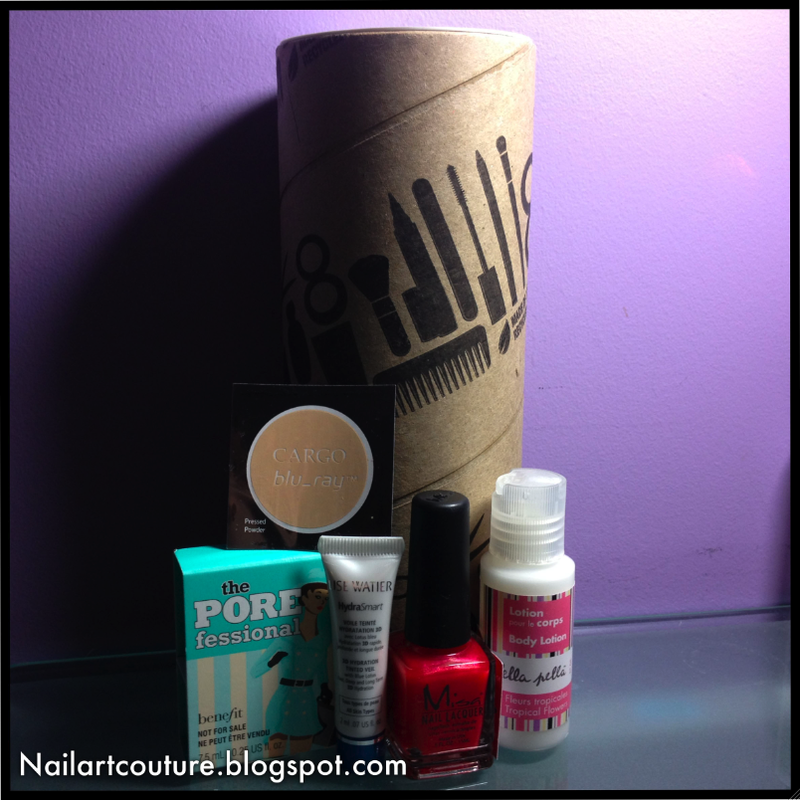 I received my Topbox last week after a massive delay no thank you to Canada Post. This month's theme is Being Green. Topbox stands out from their competitors by being a little more environmentally friendly by not shipping in a second box. Since Earth Day and Earth Hour fall on the month of April, Topbox embraced this awareness by displacing the outer design paper to reduce their carbon footprint. In addition you can request to have this silhouette design for next month's tube. I think this is a very commendable effort for sure. We'll see what the other subscription boxes will do to celebrate being green. I would also like to mention that this will be my last Topbox. I've decided to unsubscribe to Topbox just because I've realized the number products that I have accumulated and have yet to make a dent in. I know I am always getting more than my money's worth but to me the collection of barely used products is getting excessive. I think I'm slowly becoming over the beauty box hype and the concept isn't as new and shiny as it use to be. Topbox is still one of my favorite beauty subscription company and if you're looking to subscribe to these services, I would totally recommend Topbox in a heartbeat. As for me, I need to cut back on my spending and start using up all the products that I have received already. I'm locked into Loose Button for a year and I have another free Glossybox coming up before I unsubscribe to them as well. After that, I'm going to reevaluate if I want to stay subscribed to one of the companies or just unsubscribe to all of them. I'm still looking forward to watching videos and reading posts about the unboxing videos! I've been wanting Topbox to change up their packaging design for a while now, so it is quite refreshing to see this new tube. I think with scrapbook paper, this tube could be easily turned to a nice gift packaging. I like that Topbox didn't tag their tube with their brand name, it make repurposing a lot less obvious. All the products in this month's box! Quickly minimize the appearance of pores & fine lines for smoother-than-smooth skin! 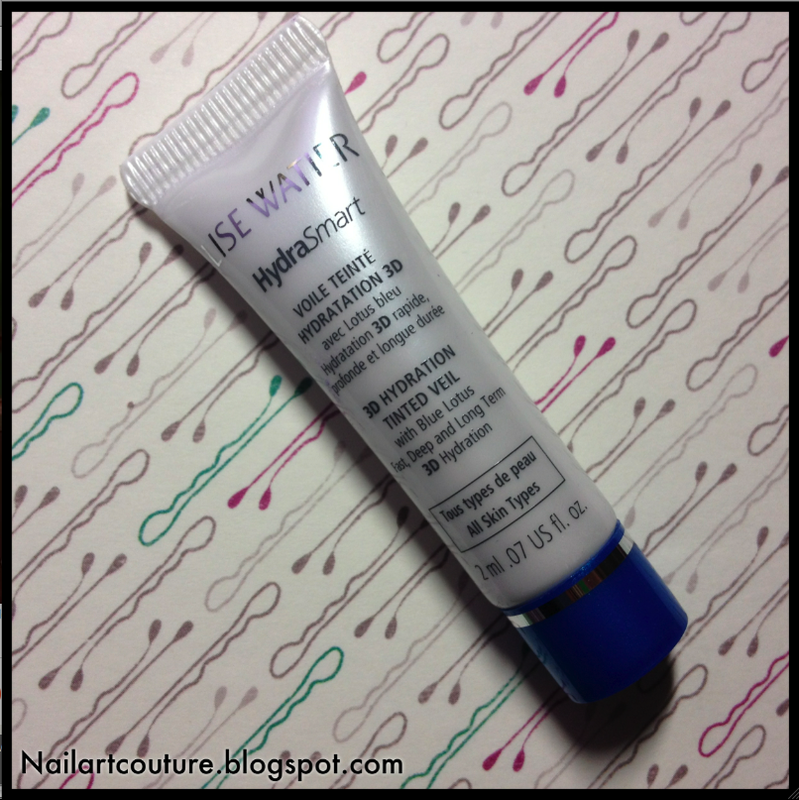 Apply this silky lightweight balm alone, under or over makeup. Translucent, oil-free formula complements all skin tones and helps makeup stay put. 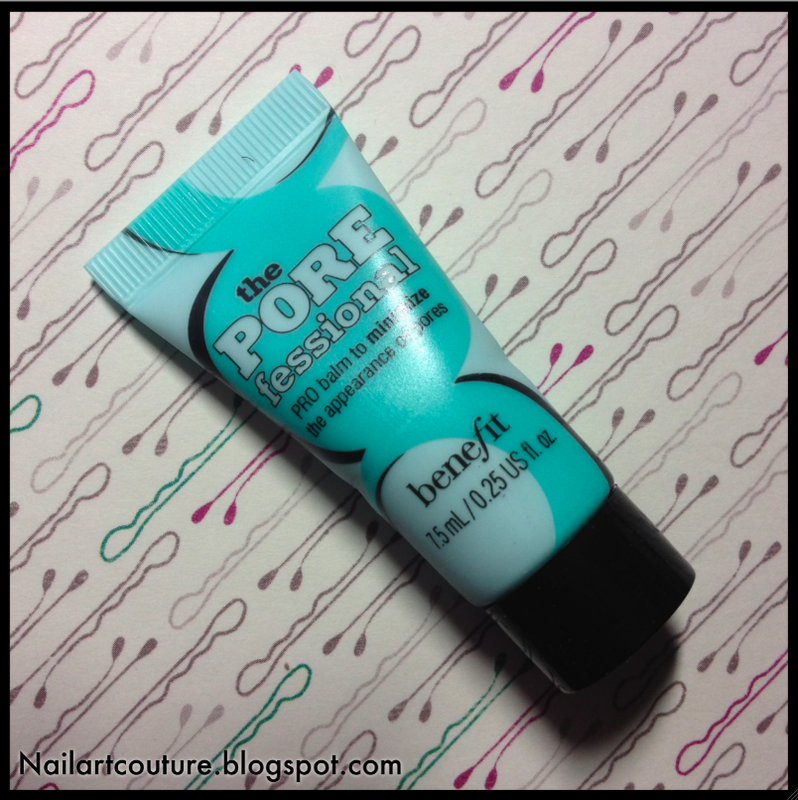 I really like this product, I already purchased two full size POREfessional for my mom and I when Shoppers had their spend their points event. I was also given POREfessional sample when Benefit had their Christmas Giveaway. The cream is silky smooth and I really like how it feels on my skin. I have noticeable pores in my nose and chin region so I think this product really does minimize the appearance of my pores. I think that this product is pretty pricey and I probably wouldn't have got it if it weren't for my Shoppers Optimum points. If you have the money to splurge and you have issues with your pores, it's a pretty great product to use. A lighter alternative to foundation, this 3-in-1 cream protects the skin from outside elements and discretely evens skin tone while continuously hydrating the skin. I guess the name of the product is a fancy way to say "Tinted moisturizer". It's very light and smooth, but it doesn't cover very well. I have acne prone skin so I need something that has better coverage. I think it's pretty expensive for a tinted moisturizer. Also, I prefer BB creams as oppose to tinted moisturizer just because it covers better and it feels lighter than a moisturizer. With a colour to suit any craving, Misa delivers the most fun, exciting and professional colours to indulge in. Misa's formula of nano-silver particles reduce chipping and is non-fading for optimal shine. I believe this is a gel based nail polish because the first application is virtually clear. I needed about 4 coats for it to be opaque. This color is apparently personalized for me and I have to say that Topbox did a really good job picking it out for me. 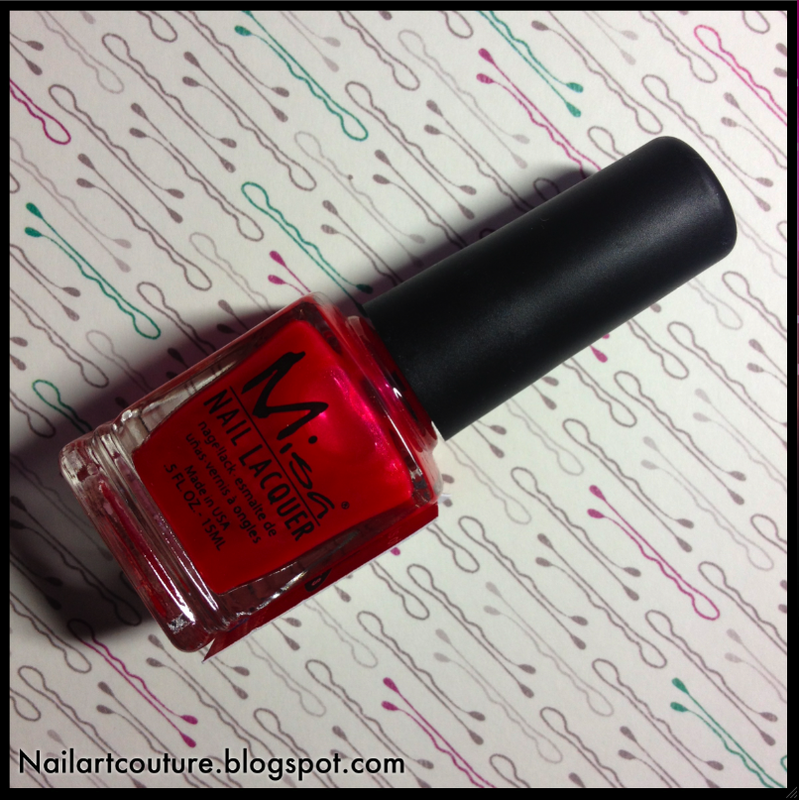 Although I like the color, I'm not a fan of the formula of this polish and I much prefer other brands. But I think it's great that I'm exposed to this because I've never heard of Misa before until now. Enjoy the exotic perfume of the South Pacific flowers with this lightweight non greasy lotion. Enriched with avocado oil, jojoba oil, and shea butter. I find the scent of the lotion a little bit too overpowering. I love the lightness of the lotion but the smell is giving me a huge headache. Needless to say, I won't be buying a full size of this. I much prefer the Bella Pella soap that we received back in December. Less makeup, More coverage. Products developed for high definition filming. High tech ingredients reduce redness and hide fine lines. 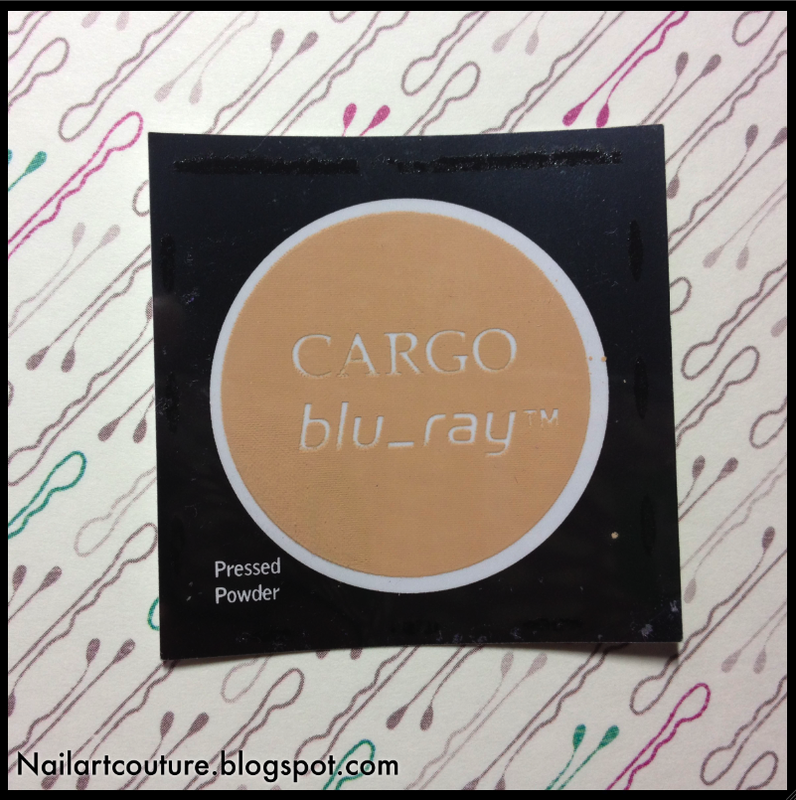 As a bonus product this month, we received a magazine-sized sample of this powder. I am willing to try this product but I think I found a product that I know I won't be able to live without. Like I said, I need products with more coverage so the compact that I use have the properties of both a foundation and powder. I guess I will be using this product to set my make-up. Overall, I think that this was a pretty average box compared to the previous boxes that I've received from Topbox. Out of all the subscription services, Topbox has been the most consistent with providing amazing value and great products. I thoroughly enjoyed all the boxes that I've received in the past and I'm sad to go but I need to use up my products before it goes a waste. I will miss getting these cylindrical tubes in my mail box every month! .... Yeah it's definitely an addiction! I wish these subscription boxes have a "skip a month" program like Julep. It really takes me MORE than a month to use up their products and samples. I hope you enjoy it! I gave a feeling that I might get jealous of whatever is in the May box. But I've tried ALL the services and I'm at the point where I don't know what to do with all my samples, so I decided to unsubscribe and use them up! I might re-subscribe in the future, but we shall see! Oh good for you for resisting the temptations of sample boxes! I'm locked into Luxe Box and Glymm for a year, but Topbox has definitely been the most consistent in terms of product quality, customer service and shipping times, so I think I'd keep Topbox as my main one if I had to choose. A "skip" option would be awesome, Julep totally got it right! Love all the products! Thanks for sharing with us! Hello! I'm SAMANTHA I am a Toronto-based Nail Art Blogger! Want to work with me? Let's get in touch! Samantha Cheng 2012. Powered by Blogger.